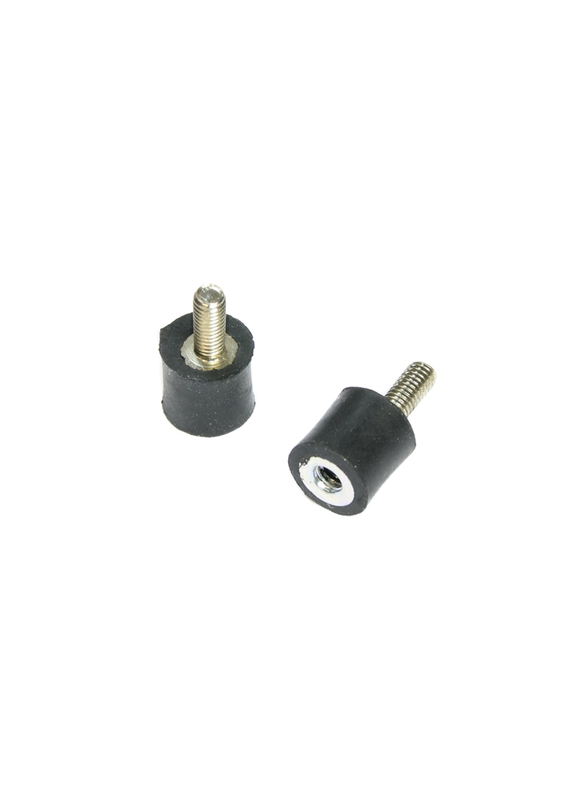 These M3 vibration damper spacers are great to help reduce vibrations on your camera, flight controller, IMU or other electronics while ensuring they are secure at the same time. The anti vibration spacers are made from elastic rubber. We sell three different types to suit your application: Female to Female, Male to Male, or Male to Female - please select as required. Vibration dampening and isolation: Flight electronics and particularly the accelerometer within flight controllers (FCs) are sensitive to vibrations. Excessive vibration can results in very bad performance, in the worse case rendering the craft unflyable. Vibration control is also important in respect to capturing aerial video and imagery. SLR’s and CMOS cameras (e.g. the GoPro) are plagued by the Jello effect otherwise known as rolling shutter. This is because they use a scanning system to capture their imagery, which vibration causes to magnify the problem. Before you embark on vibration control, you should focus your efforts on eliminating the sources of vibration: unbalanced props/adapters/motors, worn-out bearings and frame flex etc are all things to consider. A smartphone and a suitable vibration recording app is useful for testing. If you have optimised the above, then move onto vibration control. Vibration control can be tackled from two directions: Isolation which is the process of removing an object, such as the FC from the source of vibrations; and dampening which is the conversion of vibration into heat energy by a shock absorbing medium. The latter is usually easier and more often employed by using either rubber, gel or foam. The end goal in both cases is to provide high and medium frequency vibration reduction, while still allowing low frequency - actual flight control board movement to take place in concert with the airframe.